Buying a new house for the first time is a special occasion, much like when a couple is expecting a baby. And just like a baby, there is many worries to consider when buying a house. Things like the pricing, the location of the house, and the various payments you have to make all add up and can become a nightmare for the unprepared. 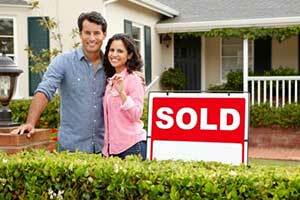 At Fairfax Mortgage Investments, we are here to make you prepared for the Winchester, VA home buying process. We’ll take you through the steps to getting a home while taking some of the load off your shoulders when it comes to the paperwork. In no time at all, you are guaranteed to find the right loan to use to get that new house. Contacting us on our website or through our phone number is the best way to go. We’ll be sure to respond quickly to get you started. FHA loans are a good fit for Winchester, VA first time home buyers. Insured by the Federal Housing Administration, they have competitive interest rates, small down payments, and low closing costs. FHA loans offer protection from loss in case you default on a loan. USDA loans are for Winchester, VA first time home buyers who want to live in the countryside. This loan is low interest and fixed rate and does not have down payments. A USDA loan is backed by the US Department of Agriculture. VA home loans have helped Winchester, VA first time home buying military personnel get the home of their dreams. They have no down payments and lower interest rates than most conventional loans. These loans are guaranteed by the Department of Veterans Affairs as a federal program. There is a certain clause when it comes to FHA loans. FHA Section 203(k) are capable of merging repair costs and the mortgage into one. In short, they are able to lower the mortgage rate significantly. Finding the right loan package in Winchester, VA for you can be tough. But Fairfax Mortgage Investments is here to help! We’ll be able to find you the best deal when it comes to finding the loan you need to buy a house. To start off, create a budget based on the housing costs, closing costs, and the cost of the desired house in Winchester, VA. Then find a realtor and bring in the right documentation, such as pay stubs, bank account statements, W-2s, tax returns, current loan statements, credit lines statements, and the names and addresses of previous landlords. Once you’re done, you can leave the rest to us.